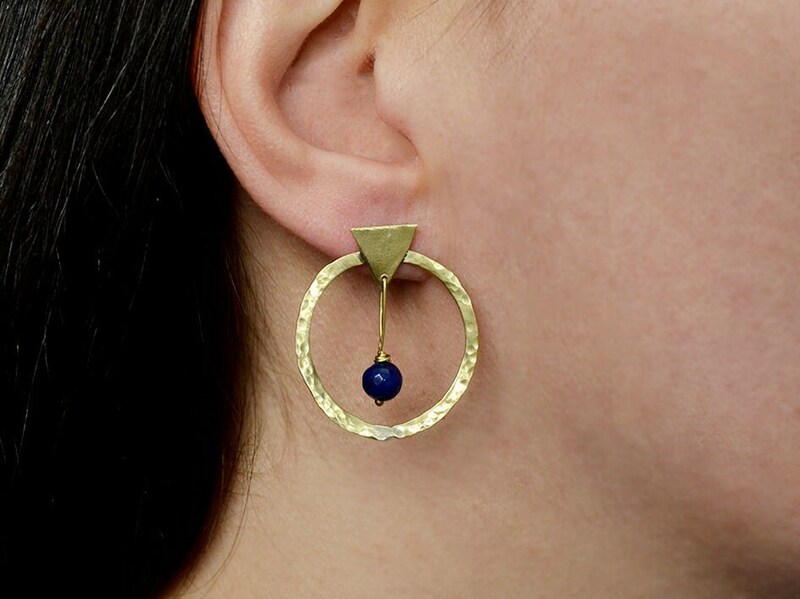 Brass or silver blue jade stud hoops with sterling posts and clasps. 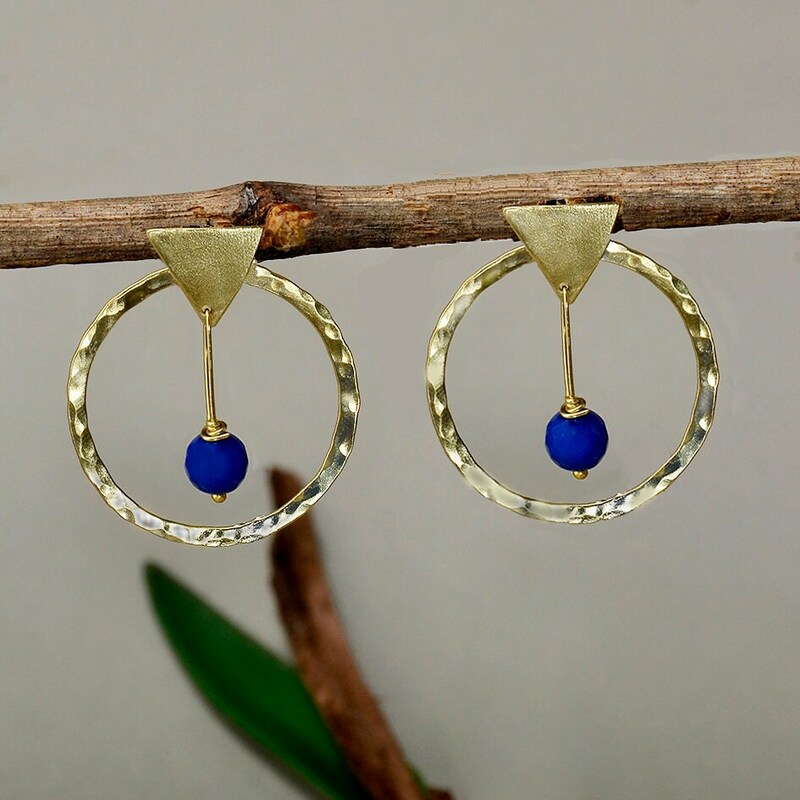 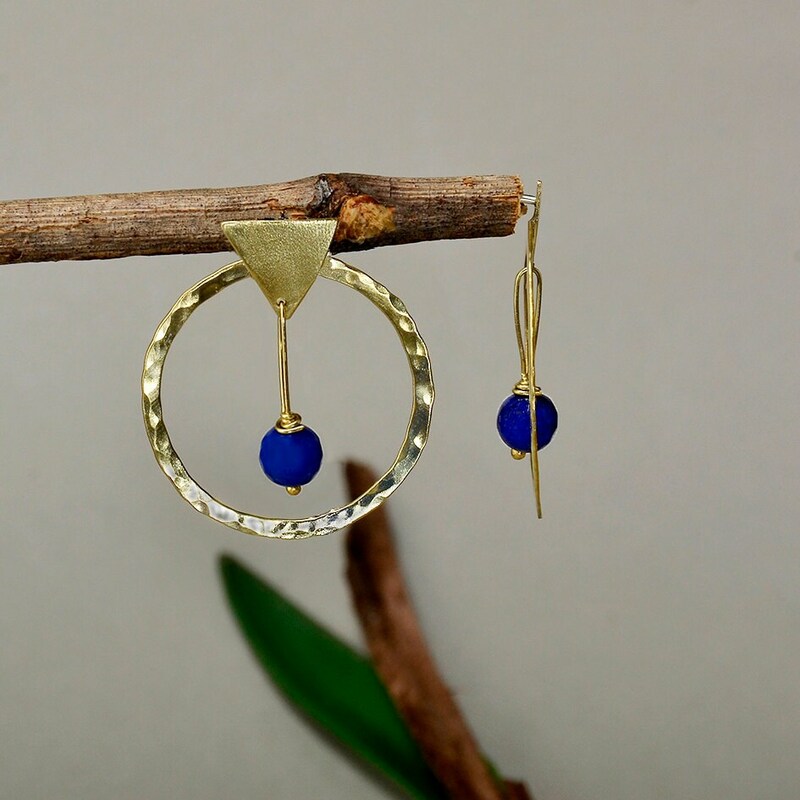 If you are looking for a pair of blue stone thin medium size hoops, this minimal hoop earring from our geometric jewelry collection is a great choice. 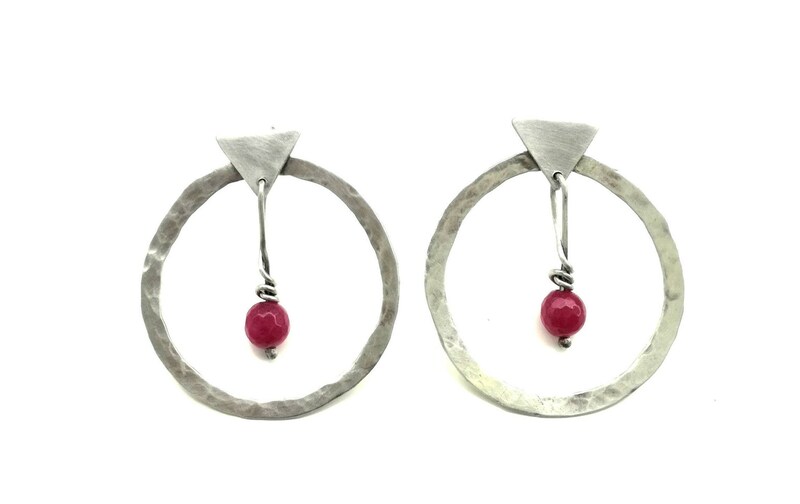 Designed in either brass, alpaca or sterling silver, cut and hammered by hand. 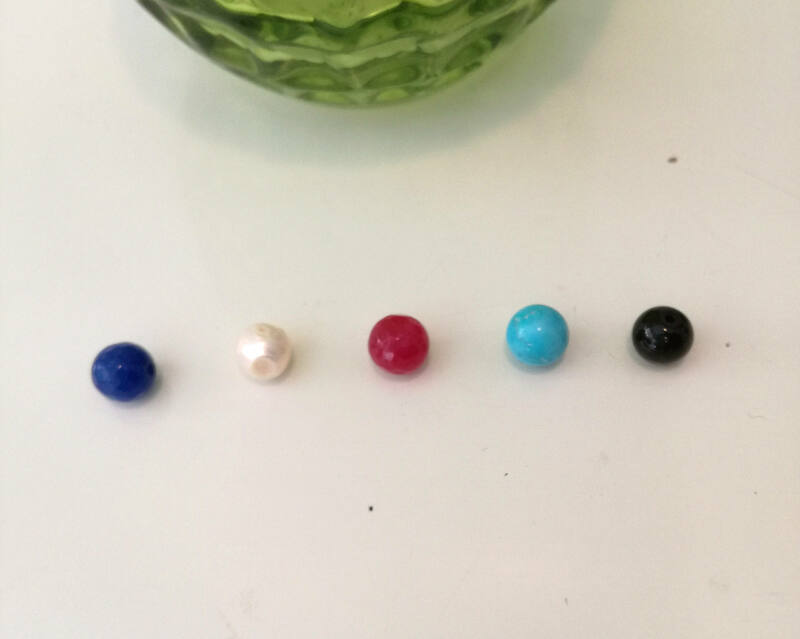 You may choose other color of stones. 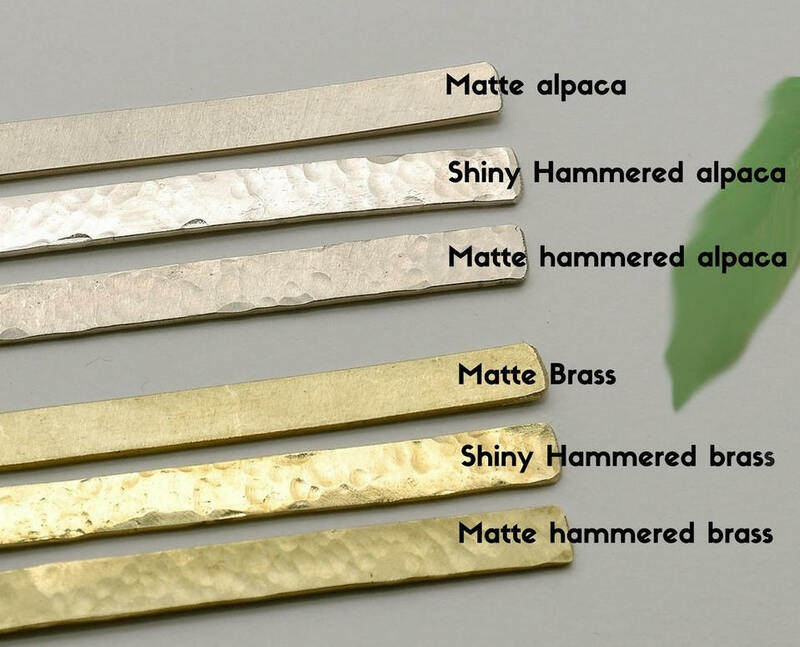 Brass is a gold tone metal composed by copper and zinc or if you select alpaca in options: Alpaca, also called German silver because the alpaca alloy resembles silver in looks. 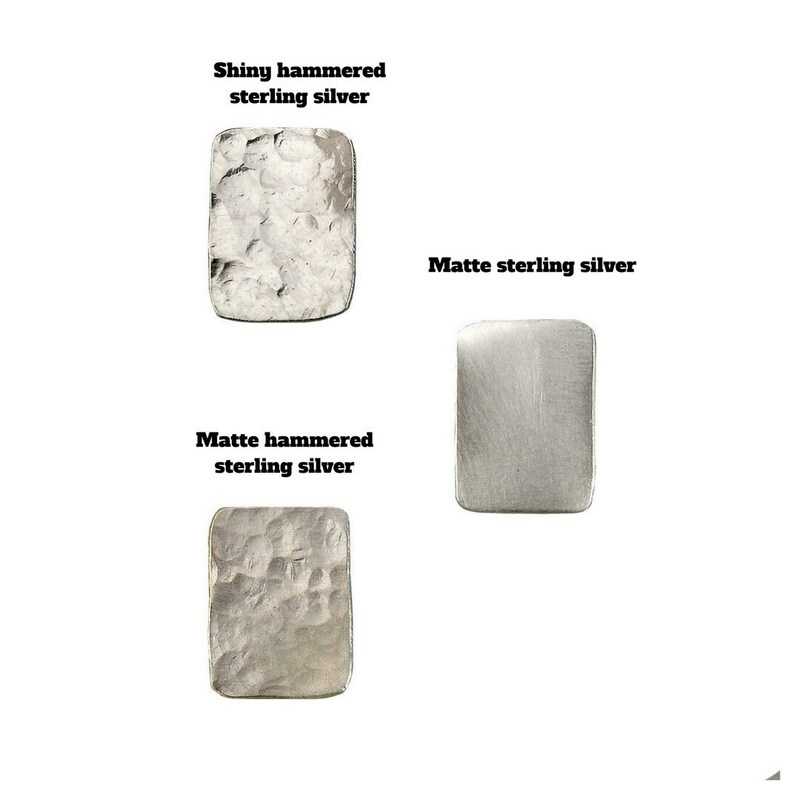 Contains copper, zinc and nickel. 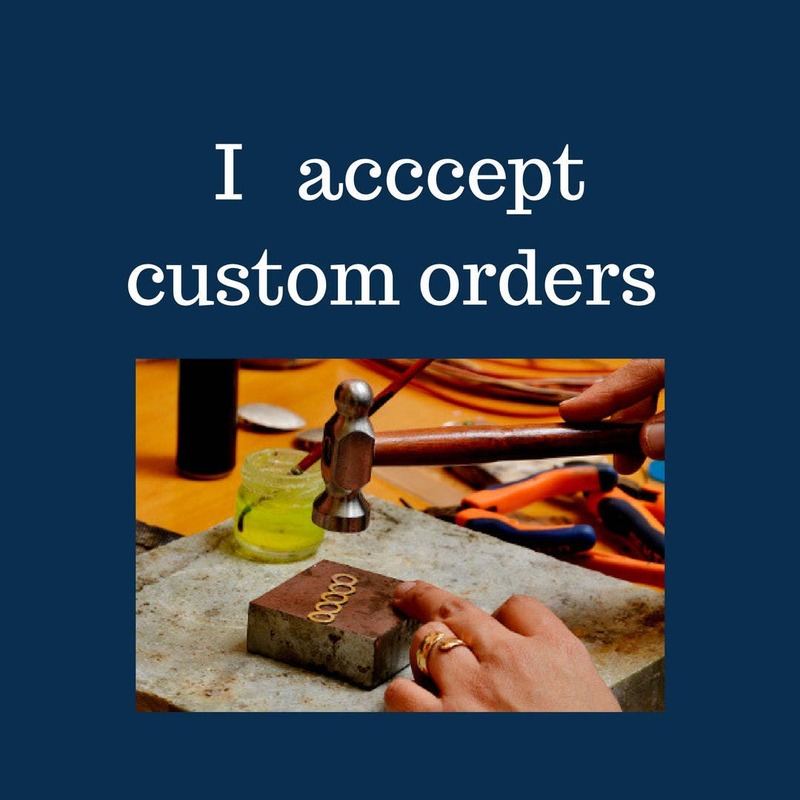 Alpaca is less expensive than sterling silver and it never rusts or tarnishes. 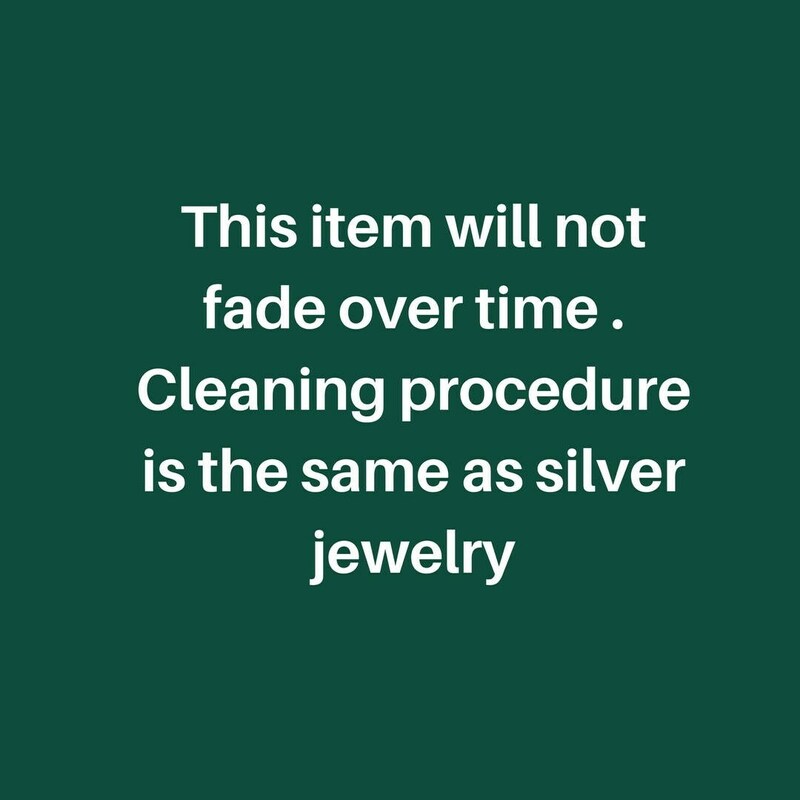 Brass and alpaca jewelry can be easily cleaned with any silver polishing cloth or be washed with dish liquid soap.